In my younger years—with no husband in sight—I joked that whomever I married must be willing to take a honeymoon trip to all of the Little House sites. When I did find my own “beau,” he was, ironically, a farmer—quite a foreigner to this suburban Boston girl. Although love was the catalyst for relocating from my longtime New England home to the High Plains of western Kansas, I discovered a bonus beyond that: I was now in close proximity to the Little House sites. And I was going to see them. From my first sight of the sign lettered “Verdigris River,” I learned to recognize “Little House chills.” Over the next fifteen years, they would consume me time and again… standing on the rolling hills of Pa’s homestead claim in South Dakota … marveling at the countertops Almanzo customized for his petite (exactly my height!) bride in Missouri… standing in the cool water of Plum Creek, still perfect for wading on a Minnesota summer day. 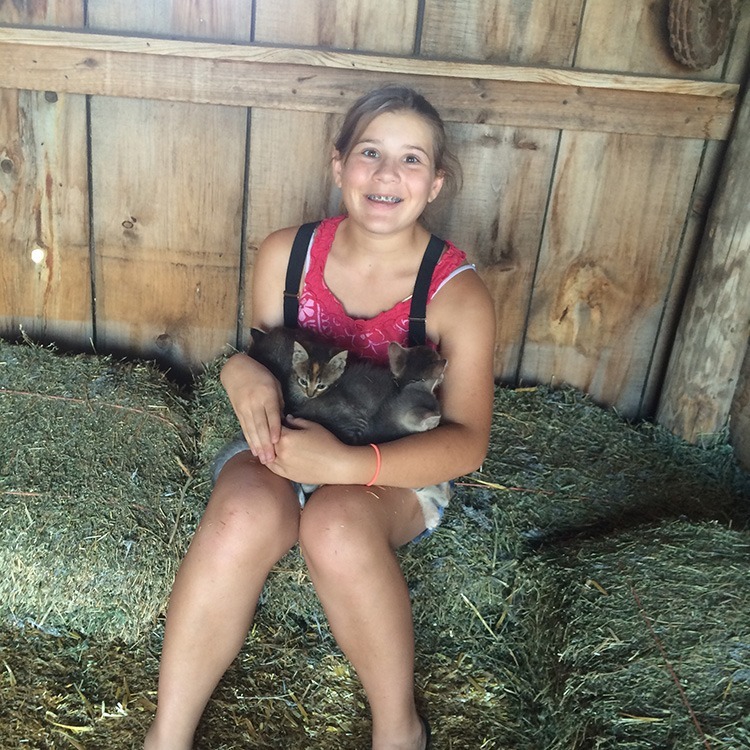 For Little House fans, there is absolutely nothing like seeing Laura Ingalls Wilder’s world come to life. 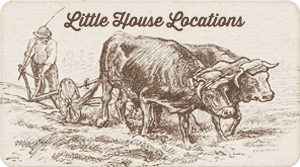 Now with three children, I’ve traveled to the Little House homesites more times than I can count. I’ve waded with them in Plum Creek. I’ve held out my hands to receive the gift of a handful of pebbles on the shore of Lake Pepin. Along the way, I’ve learned a thing or two about making the most of the trips. 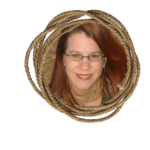 Travelers — especially families — need advice, so to answer the call I’ve created a series of travel guides to the Little House sites, LAND OF LAURA. 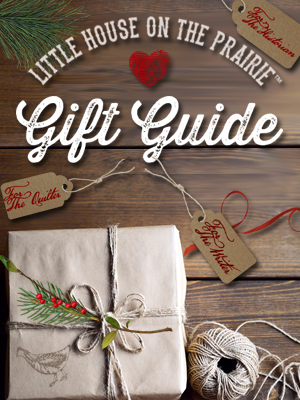 The first guide I’m releasing is about De Smet, South Dakota and is available on Kindle and in Paperback. 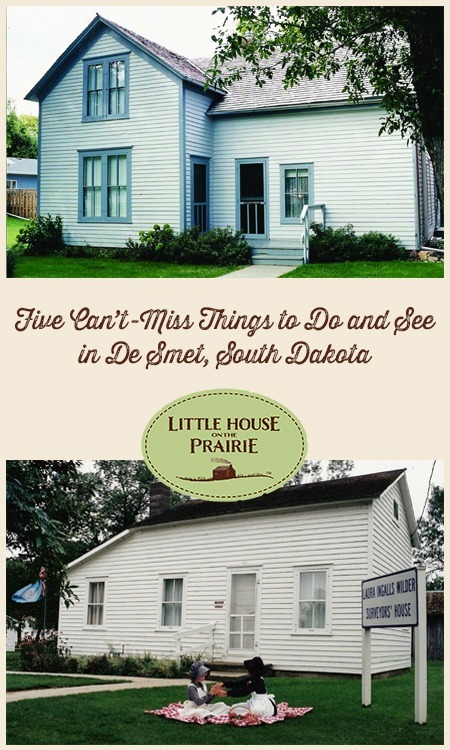 Here are my top can’t-miss attractions in De Smet. Ingalls Homestead. Prairie vistas. Covered wagon rides. Room to run. Cuddly kittens. Little House crafts. 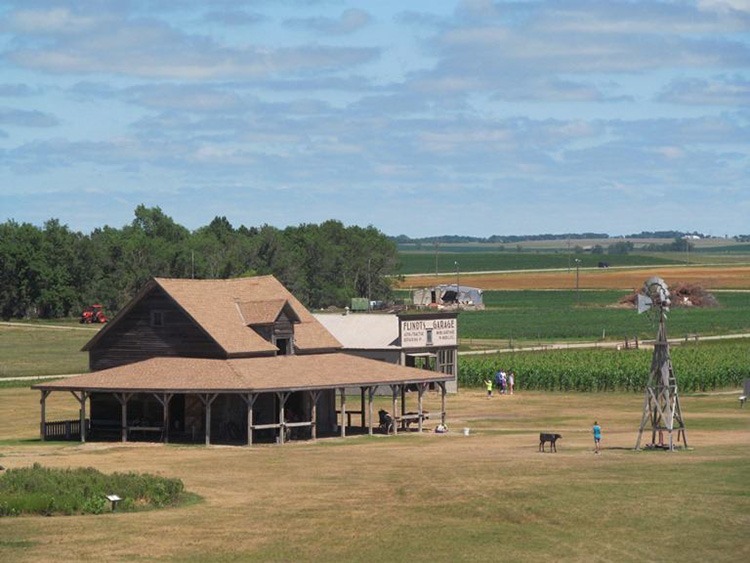 Whatever the ages of your family, all will enjoy a morning or an afternoon spent at Ingalls Homestead, the very land Charles Ingalls homesteaded in the 1880s—which he wouldn’t have gotten if not for Mr. Edwards, the wildcat from Tennessee, holding off the other impatient homesteaders. 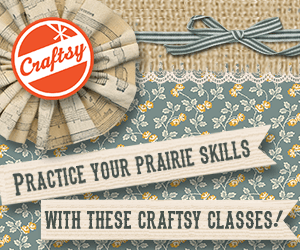 You can even stay onsite—in a covered wagon, a bunkhouse, or your own tent. The Surveyors’ House. Remember how Laura ran ahead of the wagon to be the first inside the surveyors’ house, “the largest house she had ever lived in”? The house that felt so big to Laura is probably the size of a modern-day kitchen, but it’s still tremendously exciting to be inside a home the Ingalls family actually lived in—and that Laura described so well in By the Shores of Silver Lake. Photo © Laura Ingalls Wilder Memorial Society, De Smet, SD. The Third Street House. 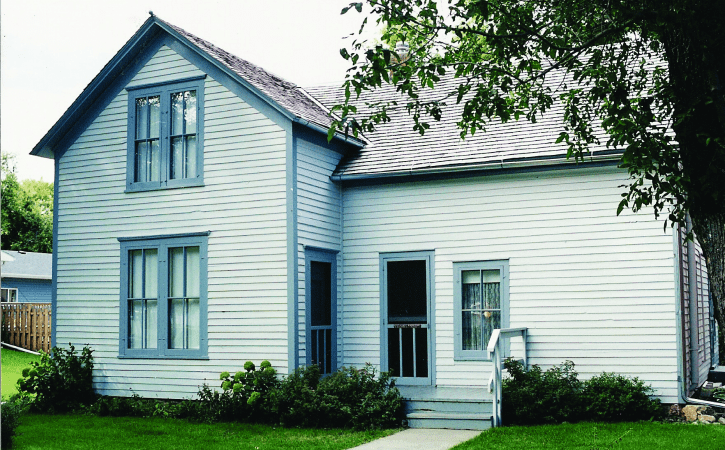 Included on the same tour is the house that Pa built on Third Street in town, which the Ingalls family moved to in 1887 from the homestead—he didn’t remain a farmer after all. Ma, Mary, and Pa lived in this house for the rest of their lives. Rose Wilder Lane, Laura’s journalist daughter, mentions this house in “Grandpa’s Fiddle,” published in the William Anderson–edited A Little House Reader. Look for the lovely portrait of Charles and Caroline on the wall. Ingalls home that Pa built in 1887. 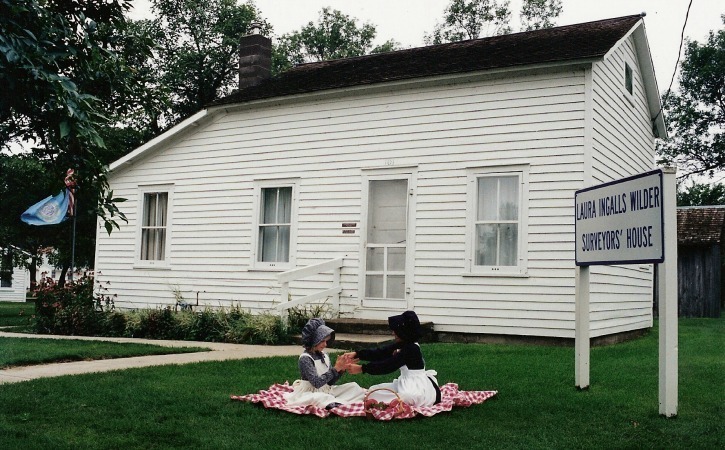 Photo © Laura Ingalls Wilder Memorial Society, De Smet, SD. The De Smet Cemetery. 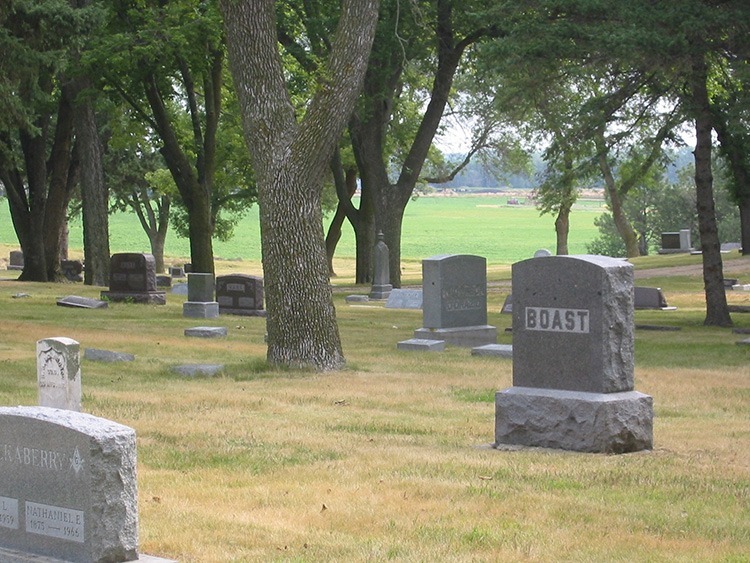 Walk among the tombstones in the peaceful De Smet Cemetery, just south of town, and you’ll see dozens of names you recognize from the pages of the Little House books — such as Reverend Brown, the “fiery” pastor who married Laura and Almanzo, and his wife, also named Laura. Laura Ingalls Wilder died in Missouri, but the entire rest of her family is buried in this cemetery. Lake Thompson. This lake that so enchanted Laura and Almanzo on their Sunday drives is southeast of De Smet a few miles, but it’s worth the drive to see the expanse of the second largest natural lake in South Dakota and think about our favorite nineteenth-century couple falling in love on their buggy rides. Calumet Avenue. Called Main Street in Laura’s books, Calumet Avenue is home to so many locations familiar to its pages — like the Loftus Store, which is currently in operation as a gift shop (yes, they sell suspenders). The memorial society has set up a walking tour of this area, so check all the windows and doors as you go by so you’ll know when, for example, you’re standing in front of what used to be Fuller’s Hardware. 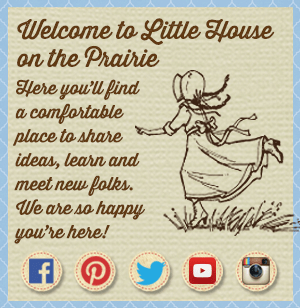 Are you planning to visit any of the Little House on the Prairie locations this year? We’d love to hear about your journeys on our Facebook Page and be sure to subscribe to our free newsletter for more in-depth profiles of the best places to visit! Longtime professional writer Sandra Hume is a founding board member of the Laura Ingalls Wilder Legacy and Research Association, which holds the LauraPalooza conference every two years. Sandra’s enthusiasm for Little House inspired a decade of publishing the Homesteader, a twice-yearly newsletter about Laura and her homesites. 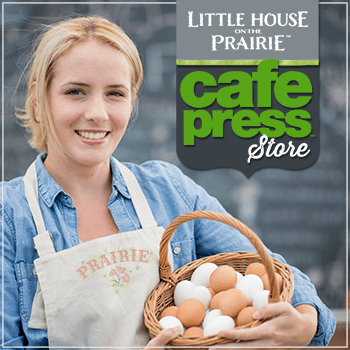 She now runs the website Little House Travel and writes the Land of Laura travel book series for families visiting the Little House sites. You forgot to mention that another site in De Smet is the old First Congregational Church building that Pa Ingalls helped build and which the Ingalls family were members. My family enjoyed seeing the church building. Se le olvidó mencionar que otro sitio en De Smet es el antiguo edificio de la Primera Iglesia Congregacional que Pa Ingalls ayudó a construir, y que la familia Ingalls eran miembros. Mi familia disfrutó de ver el edificio de la iglesia. What events are planned for this summer? My moms during wish is to visit the locations of the Little House on the Prairie. I did t see any thing for 2018 .